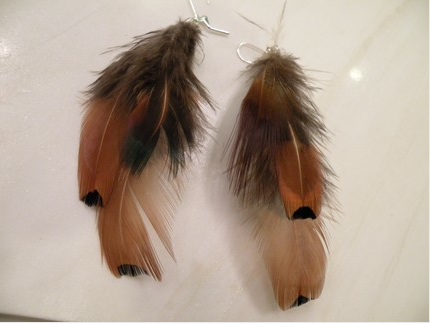 so, yesterday, i came home with only one peacock feather earring in my ear. the other went missing. 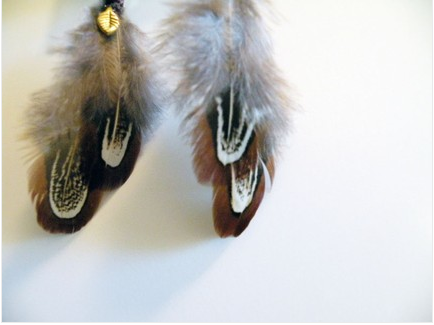 it was a sad day but now i am really wanting to make my own feather earrings. the only jewelry i have made before has been bracelets out of leather or fabric. so it would be really fun to try something new! 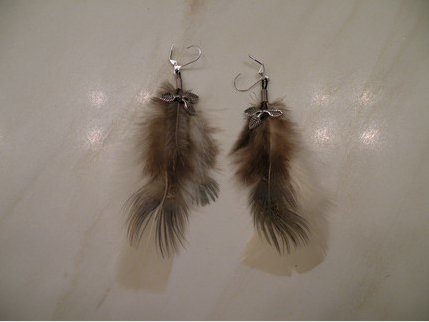 i am thinking feathers, and leaf and feather charms. gold, and that antique in-between gold and silver color too. 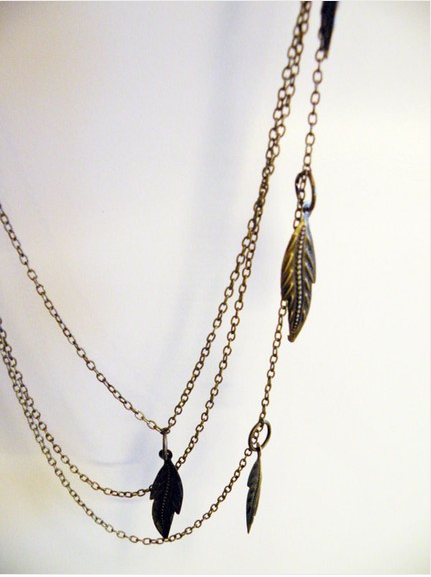 check out kiss every comma's shop on etsy for more awesome vintage-inspired jewelry! check out the feathers & leaves i wore on my wedding day that were featured in "southern california bride" wedding magazine last year! !